We've always known Michelle Pfeiffer was whip-smart. "Look what I found," she said in the video. "Needs a little TLC." At 60, Pfeiffer remains a hugely busy actress, and will appear opposite Angelina Jolie later this year in "Maleficent: Mistress of Evil." 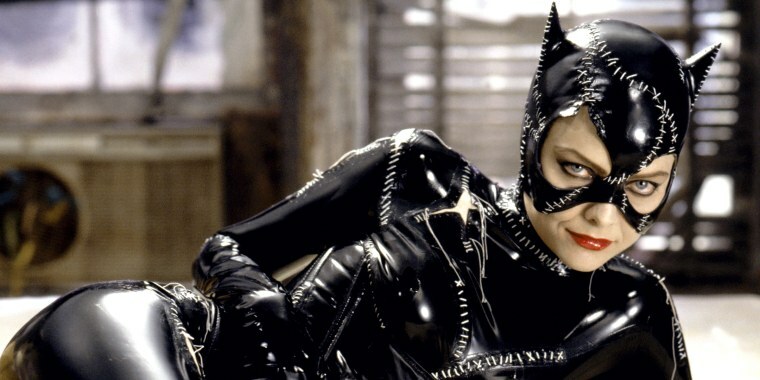 But she clearly has a long-standing affection for Catwoman: When the actress first began using Instagram in January, her original post showed her off in the shiny, stitched suit, dazzling Batman and the Penguin (Danny DeVito) with her acrobatic skills and perfectly timed line.